Wow! Now I’m really cook’in! Day 2, creation 2 is done! I am excited to complete day 2 of my Zentangle a day art challenge. 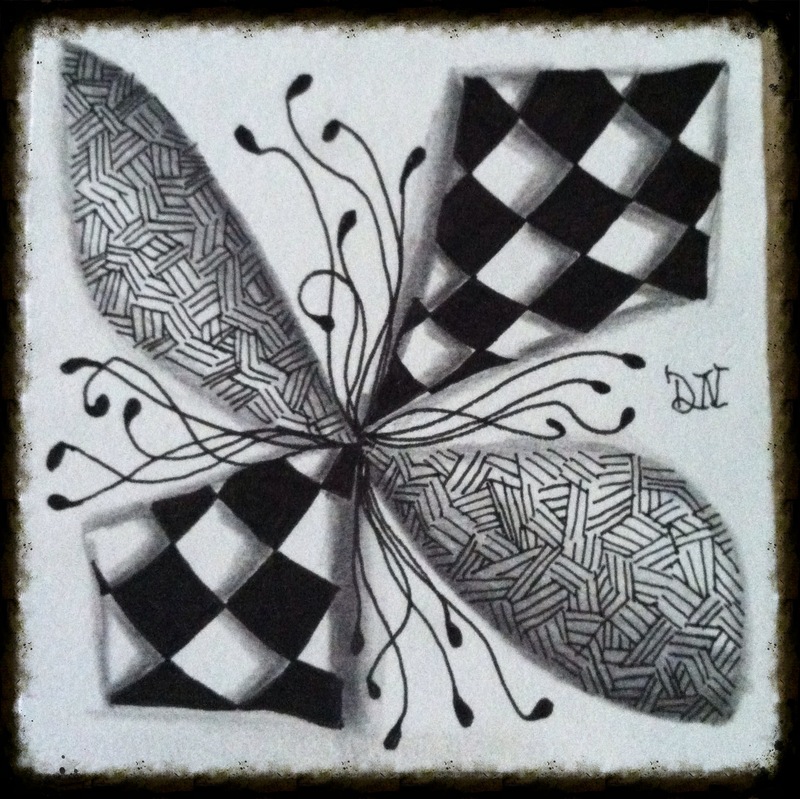 In case you didn’t read my earlier post, I am following “One Zentangle A Day” 6 week course. This new tile features a brand new tangle I just learned called “Nekton”. Complimenting this new tangle is two other great tangle patterns “Knightsbridge” and “Fescu”. Working on this tile really helped me unwind after another mind-numbing work day. Hope you enjoy my latest creation!